Here at Custom Vapors, Inc., we've never met a stranger, just friends and neighbors we don't know yet. We are here to help you take a big step up in quality and a big step down in price. Regular cigarettes limit you. Electronic cigarettes offer so many options in comparison. 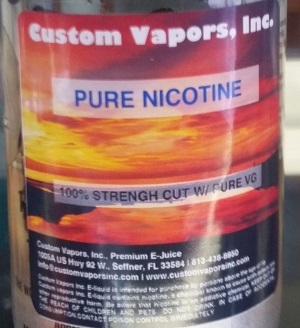 Choose your nicotine strength and select from a variety of tobacco flavors similar to regular cigarettes or try our tasty flavored options. You can choose a long battery, a short battery or a designer battery that highlights your unique style. Click here for a tour of our facility! Senior Citizens and Active Duty Military receive a 10% discount. We also have a loyalty program to thank our regular customers.